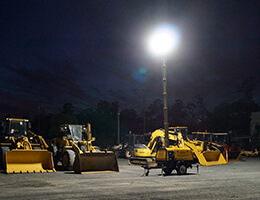 LDC Equipment has been a leading Queensland traffic control equipment, LED signs and earthmoving equipment hire and sales provider for over 25 years. We service the local and surrounding regions of Brisbane, Ipswich, the Sunshine Coast and Byron Bay and Australia-wide throughout New South Wales, Victoria, South Australia, Tasmania, Western Australia, ACT and the Northern Territory. 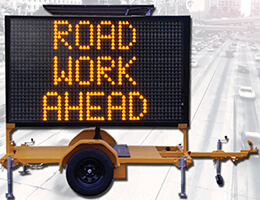 Over the past 10 years, LDC Equipment has built a reputation for designing and manufacturing superior quality traffic control equipment, VMS boards and LED signs. In 2006, LDC Equipment was awarded the Marketing and Distribution rights for ISO-9001 quality assured manufacturer Global Traffic Equipment, an Australian owned and operated company based on the Gold Coast, Queensland. We are dedicated to supplying premium quality, locally designed and manufactured products, which deliver great value for money. While there may be cheaper products in the market place, our commitment to innovative design, quality and service, ensures we have a large, loyal clientele base in civil construction, roadworks, traffic control, retail, council, mining and many other sectors. 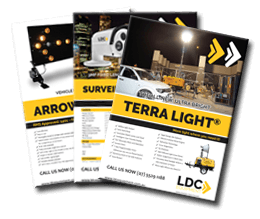 Today, LDC Equipment distributes a wide range of Australian designed and manufactured products including: amber and 5 colour VMS boards, portable traffic lights, RMS FAS5 approved arrow boards, solar and diesel powered lighting towers, P16 vehicle mounted and LED signs. 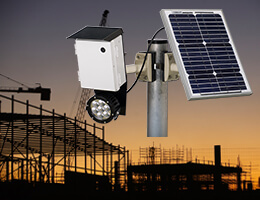 We also import high quality solar street lights. 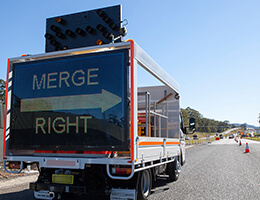 With a highly experienced team, we consistently seek to improve and expand our existing technology and product range, to provide you with the highest quality Australian-made traffic equipment.